Do you have investments outside of tax-advantaged retirement plans? If so, you might still have time to shrink your 2018 tax bill by selling some investments • you just need to carefully select which investments you sell. If you’ve sold investments at a gain this year, consider selling some losing investments to absorb the gains. This is commonly referred to as “harvesting” losses. If, however, you’ve sold investments at a loss this year, consider selling other investments in your portfolio that have appreciated, to the extent the gains will be absorbed by the losses. If you believe those appreciated investments have peaked in value, essentially you’ll lock in the peak value and avoid tax on your gains. Review your potential tax ratesAt the federal level, long-term capital gains (on investments held more than one year) are taxed at lower rates than short-term capital gains (on investments held one year or less). The Tax Cuts and Jobs Act (TCJA) retains the 0%, 15% and 20% rates on long-term capital gains. But, for 2018 through 2025, these rates have their own brackets, instead of aligning with various ordinary-income brackets. But the top ordinary-income rate of 37%, which also applies to short-term capital gains, doesn’t go into effect until income exceeds $500,000 for singles and heads of households or $600,000 for joint filers. The TCJA also retains the 3.8% net investment income tax (NIIT) and its $200,000 and $250,000 thresholds. Before selling investments, consider the netting rules for gains and losses, which depend on whether gains and losses are long term or short term. To determine your net gain or loss for the year, long-term capital losses offset long-term capital gains before they offset short-term capital gains. In the same way, short-term capital losses offset short-term capital gains before they offset long-term capital gains. You may use up to $3,000 of total capital losses in excess of total capital gains as a deduction against ordinary income in computing your adjusted gross income. Any remaining net losses are carried forward to future years. 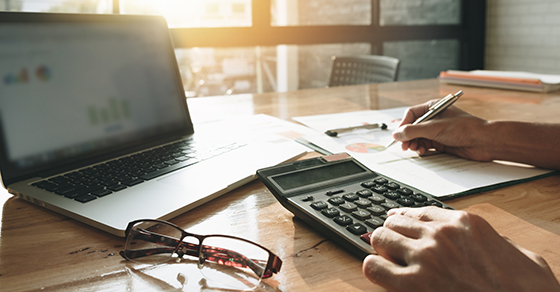 By reviewing your investment activity year-to-date and selling certain investments by year end, you may be able to substantially reduce your 2018 taxes. But act soon, because time is running out. Keep in mind that tax considerations shouldn’t drive your investment decisions. You also need to consider other factors, such as your risk tolerance and investment goals. We can help you determine what makes sense for you. Please contact us.